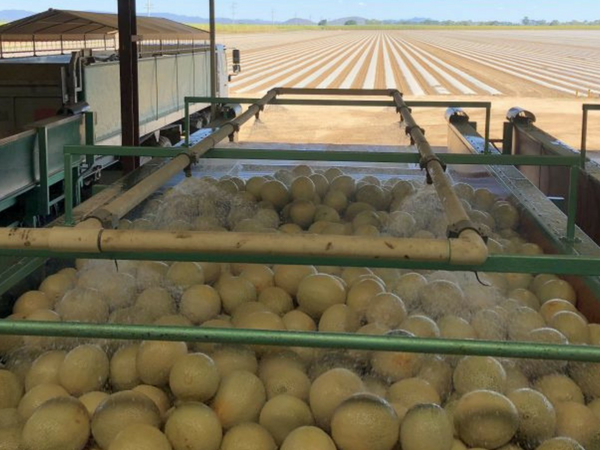 In the wake of a Listeriosis outbreak earlier this year, Hort Innovation has worked with growers to launch a six-pronged initiative to combat foodborne illness risks and support the sustainability of the melon industry. Being delivered by the NSW Department of Primary Industries, and funded through the grower-owned research and development corporation using melon grower levies and funds from the Australian Government, the new project will see strengthened food safety measures and training support for the industry. Visits to all Australian rockmelon growers and packing sheds to review and audit current practice and critical control points and provide one-on-one food safety consultations with growers, managers and key farm staff. The development of a melon food safety Best Practice Guide, informed by the findings from the above consultations, feedback from retailers and other key stakeholder groups. The ongoing monitoring of current practice by growers and in packing sheds and training of staff in line with the Best Practice Guide. The development of a ‘toolbox’ for grower use including risk assessment templates, training guides, food safety posters and record sheets to support food safety programs – this will be housed on the Australian Melon Association website. Regional roadshows in key growing regions that highlight the availability and contents of the toolbox and Best Practice Guide. A helpdesk to provide technical support to growers, packers and other stakeholders. The NSW Department of Primary Industries, which has extensive experience in melon food safety research and industry development, has already started consultation with rockmelon growers in Queensland and Western Australia. The whole project is due for completion in May 2019. For more details on upcoming activities relating to this initiative, keep an eye on the Hort Innovation and the Australian Melon Association websites.